3:00 pm World Card Making Day Finale! Join us! 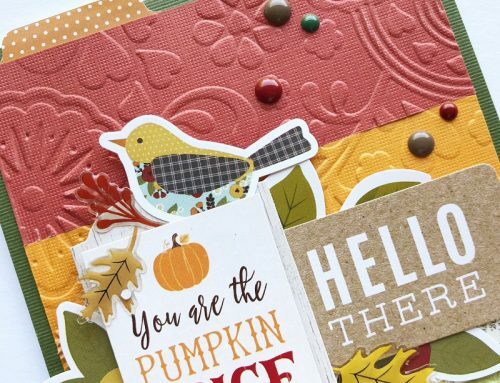 “My favorite all-time tip for creating cards is to use up items in my stash. You know, some of those smaller items that you have to have that don’t always find a place on the project like you intended. As our way to celebrate YOU, our team would love to share their cards with 10 people who have commented today! A little handmade kindness is always nice to receive in the mailbox! We wish we could send a card to everyone who has shared this day with us but instead we ask that you create a card to honour this day and our time together and place it in the mail to someone you feel could really use a smile! If you can, take a picture of it and tag us at @sctmagazine so we can see! And one more! Our sweet friends at Scrapbook Adhesives by 3L have a fabulous $25 adhesive package to give away to this hour’s winner! We also spotted some fabulous inspiration on their blog and another opportunity to win a $30 prize package. Head over to their blog to enter. For an opportunity to win this hour’s prizes be sure to leave a comment below by October 12th! Good luck! I love days like this! Thanks for the fun and the great inspiration! Cannot wait to get started on a few cards myself! What a fabulous card – so bright and cheery! Thanks for all the inspiration and the great prizes today! I do smile and say just that! I made a hooray card for a co-worker who is working so very hard to lose weight… the inside said, “The scale loves you.” You can’t buy that just anywhere!! Thanks for all the fun today. Eeeeeek!!! How amazingly beautiful is this card!!!! I already know who exactly I’ll be sending mine too! Thanks for the motivation and the fun and excitement I had today!!!! Love you SCT!!!!! I am heading to my Craft Oasis right now to make a card for my dear friend, Joan, who has been having some health issues! I want to thank her for being a wonderful friend and person! Will post a picture on your FB page when it is done ✅! Thank you, Scrapbook and Cards Today, for the fun and inspirational day! I enjoyed all the variety of cards today! WOW!!! Sorry I missed this…I was making two birthday cards and a get well card. Just finished and popped on here…I WILL check out the blogs. for all the fun on the blog! 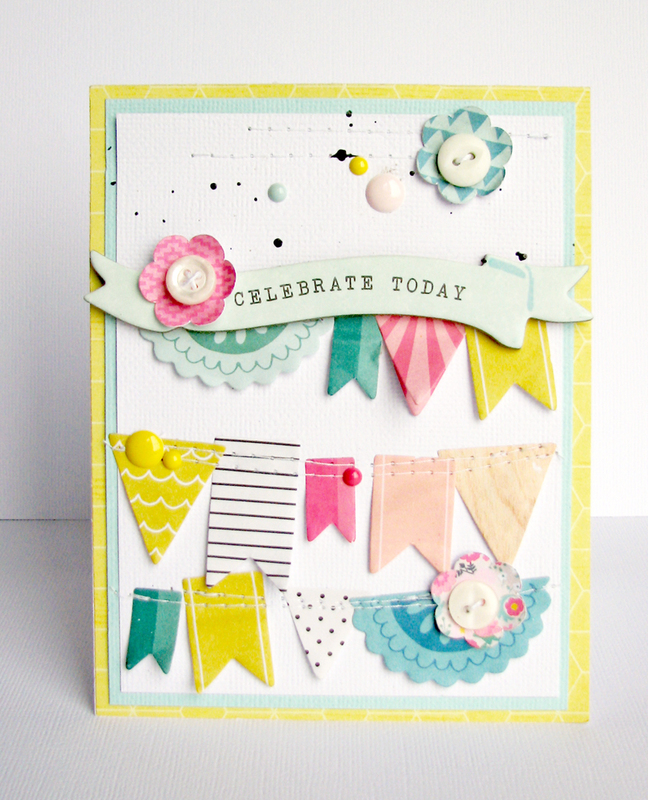 Love the banner on this card – so cheerful! What a fabulous day! I have some catching up to do, with working today and all. But its great to know that great companies, like yourselves SCT and others, inspire us/me to create. Thank you! Thank you for the inspiration today! I’m thankful for the generous prize donators! Happy WCMD and Happy Thanksgiving! I wish I could’ve spent all day making cards (which I love to do!!) but needed to spend time with my ailing mother. Such a happy card! Thanks for all of the inspiration. Off to my craft room to start my Christmas cards! Crafting makes every day special! Thanks for all of the fun today! LOVE ? at cards! Thanks for the showcase that you always provide! What great prizes! Fun day full of great inspiration. Thank you for all the beautiful ideas and the motivation to make and actually send some cards to people in our thoughts. Thanks for all the fun today! The crafting community is the best! Thanks for the giveaway. I love being part of such a caring community of people. Thanks for your leadership and organizing this fun filled creative day with your designers. A beautiful card! Thank you for a day filled with inspiration! I can always use new ideas for cards! Thank you to SCT and all of the designers! Looking forward to trying some of these cards out! Thanks so much for the inspiration, a fun day, and wonderful prizes from your sponsors. You truly have a good thing going. Thank you to everyone that has made this day so awesome! 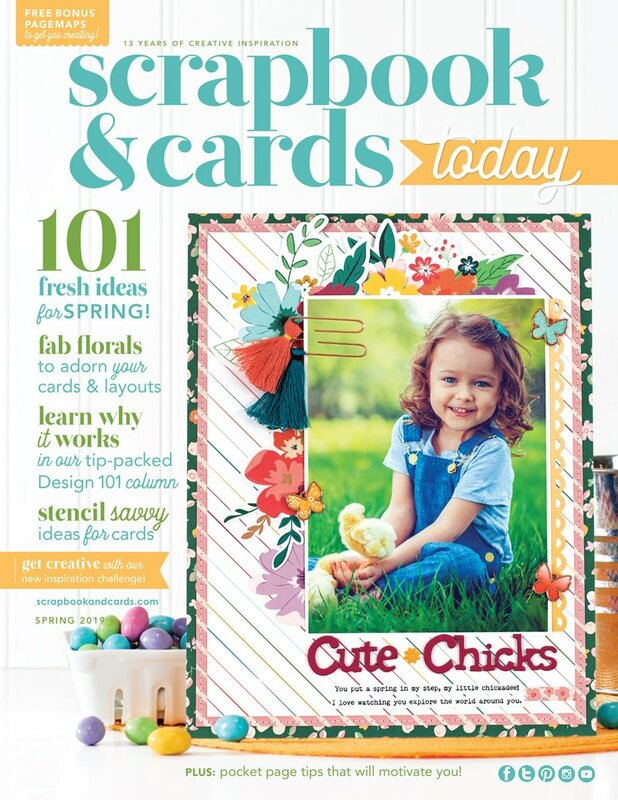 I love the tip about using scraps…I’d love to shrink my pile. My goal now is to get a card in the mail. Thank you! I’m a little late on getting started with my World Cardmaking Day but kids come first!! Thank you so much for some great inspiration! Thank you for such great inspiration! The chance to win some prizes is the icing on the cake! What a great card. I know what I’m going to do tonight. Finish making all of these cards as well as a few more. What an exciting day for us. Thanks to SCT for putting this on and getting us all so motivated, Thank you to the companies who also donated. Happy Thanksgiving from Canada. Yeay! Happy WCMD to you, too! I’ve been making cards and stamping for 15 years. Still love it! Thank you for the inspiration and the chance to win! Great card! Such a fun day full of inspiration! Thanks for all who donated and created for us today. What a fun way to end the day. All of you who make cards should be proud and loud about it. I not only have been making cards for over 20 years I also volunteer tutor seniors in card making once a week to help keep their brains active and it’s so much fun. I’ve been in my craft space all afternoon celebrating WCM day and LOVING it! Love your card and that some very lucky people will receive them. How cool is that! It is so fabulous that some lucky person/people will receive the incredible cards shared today!! Love Simon Says Stamps and Scrapbook Adhesives too!! Wowzers…what fun and an awesome card. LOVE SSS and I need to place an order when I get more money so a Gift Cert would be awesome. Thanks so much for sharing with us! Thank you so much for sharing the days inspiration and surprises. Its wonderful folks like your team who help keep the cards and scrapbooks and papercrafting hobby going. I love making and sharing a special card with someone who needs a little bit of cheer, although today I have been too busy preparing for our Thanksgiving meal with family to play with paper, as soon as the dust settles I am going to be digging out my scissor and glue and playing with those little odds and ends of trims and stickers to come up with some special cards. Thank you for an awesome day!!!! I have the evening free to play with paper and glue. will be going back over some of the ideas as I want to make a few. Thank you for a fun time as always. No one scraps with me so this is as close as I can get. Thanks so much for hosting a WCMD event! Loved following along! Thank you SCT!! Really enjoyed checking in and getting a ton of inspiration! Happy Thanksgiving! I never thought of using all those different flags that way. What a bright cheery card. Sweet of Simon Says to sponsor a gift card. It would be super to win that! Thanks for celebrating World Card Making Day! What a beautiful cheery card! Thank you for the fun day filled with crafty inspirations. I always appreciate more tips and techniques like you always share. Love the banner card. I like to use my stash too…but it grows faster than I use it. Love the use of scraps….. I find inspiration to clean out my little stashes of leftovers! Beautiful light and cheery card! Oh what an fun day! Thanks for sharing today with all of us! I quite like the card featured this hour, it looks “Happy”. Thanks for the chance to win today Happy World Card Making Day, everyone. Great prizes, and wonderful ideas! Thanks for the day of inspiration. I almost wish every Saturday was WCMD! Lots of great ideas today, thanks! Just got home from work- it’s finally time to play! Thank you for the inspiration! Such a fun day with lots of great ideas! A little sad it’s over. Love the stitching on your card and thanks for all the fun today! What a fun day: I don’t have time to make cards today, but loved all of the great ideas and inspiration. Thanks for sharing! I enjoyed all the cards and tips that were shared today. Thanks to all who contributed. This is my first World Card Making Day and I thoroughly enjoyed it. Thanks for the inspiration. Great prizes and inspiration today. 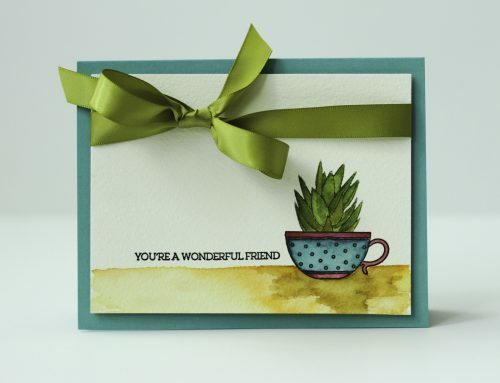 Happy Cardmaking Day to all! Thanks for all the great inspiration today and Happy WCMD!!!! What a great day here on the blog! Thanks again for sharing all of your inspiration and creations with us! Wat a great day to celebrate WCMD! 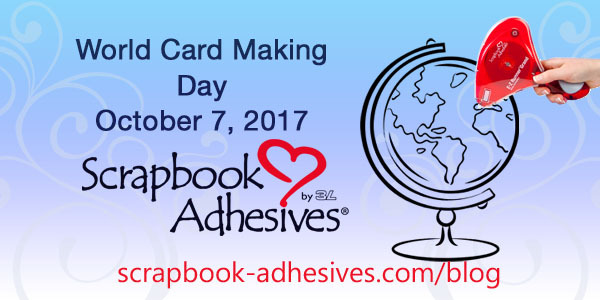 Happy cardmakers day! Love making cards esp Christmas cards….Ty for the lovely showcase of homemade cards and sharing tips m techniques! Thanks for an inspirational WCMD! I hosted a stamping get-together today with a few friends and we each made two cards. I’ll be sending the birthday one this week. Thanks for all the fun and inspiration today! What a great finale! Happy WCMD everyone!!! Great card with fun colors and the banner! Love it. What fun posts and grande finale! Love the inspiration shared and cannot wait to get creating more cards! Thank you for the fun today. I’ve just finish making a card for my best friends wedding anniversary. Enjoyed the lovely inspiration. Thank you. Great day. Thank you for all the inspiration. Thanks for sharing so much inspiration today! Thanks for adding to all the fun and inspiration today. Your card is really cute. Thank you for the inspiration and opportunity to win. Wonderful tip and gorgeous card! I love the little banners! I enjoy making cards so this is definitely my day! I’ll be mailing a card to my friend overseas next week, just to let her know I’ve been thinking of her. Thank you for all the inspiration today, SCT! What a great day of inspiration and prizes. Fabulous, fun and inspirational day – thank you! Happy WCMD!! Thanks for all of the inspiration today – I’ve already tried some of the techniques and designs you featured! And I really appreciate the positive themes of the day – we all could use some happy thoughts! Thanks for hosting this event today. I tried to do some creating today, but it just didnt work the way I wanted. Sometimes you just have those days. I’ve enjoyed your inspiration, creativity and motivation. You have a very talented group of people! Thanks for all the fun ideas. I love Simon. They have done so much for the hurricane. All of this creativity has me excited to make something beautiful of my own! I am finishing my embellishments on my card to send them in the wellness center in my area..
Fun day. Didn’t get as many cards done as I had planned. Have had fun today and enjoyed the inspiration. Finishing up a card to send to my aunt. My favorite day of the year! Happy World Card Making Day SCT! Love the inspiration. I am going to make some thank you cards for my kid’s teacher in school where school term is nearing the end by next by month. Wow such a cute card! Thank you for all the inspiration!! I am off to create cards! Love this happy card with the celebratory banners! This was such a fun WCMD! Thank you for the beautiful inspiration–I actually got a chance to make two cards today!! I am looking forward to making even more in the near future. Love the card, Nicole ❤️ I am going to my craft room to make a few cards on Monday and that will be one or two of them. Thanks Scrapbook and Cards for all your hard work. I love sewing on cards. I know someone who could really use some cheer so I’ll get a card in the mail to them. Thanks for the inspiration. Love this card! SCT is always fun! This card is unique and I love all the stitching, but unfortunately for me I no longer have a machine so I would need to hand stitch and that would not look pretty!!! Lol. You guys are amazing in that you share so much with us and then have giveaways. Happy Card Making Day and never stop what you are doing. Yesterday was my birthday and between my lovely birthday wishes and very welcomed surprise company, I didn’t get to spend time with my friends at Scrapbookandcards. I realize I’m too late to be included in the fun for WCMD, but wanted to show my support for your wonderful designers. I love this creative card! It is filled with colorful texture. I just love the banner! What a sweet card! Love the texture from the stitching. Thanks for a wonderful day full of fabulous prizes! Love this sweet card, cool prizes. Thanks!!! Thanks for all the fun and inspiration! Amazing generosity from these companies and from your team in sharing their time and talents with us! I’m ‘celebrating’ today by making a whole BUNCH of Halloween mini cards/tags for my niece and nephew, as well as their classmates – 60 in total (x two projects for each one). Bats, ghosts, Halloween kitties….so excited to play! Thank you for all the incredible inspiration today! This day has been a lot of fun! thank you! WCMD is always fun and inspirational. family. Thanks for a great day. Thank you for all the fun prizes, great inspiration, beautiful projects, and for making it a great day! What a lovely card. love all the tips and ideals. thanks for a wonderful card day. This card is so nice and joyful! Thanks to everyone who worked hard to make this day special! Thanks for all the beautiful cards today! Thanks for a fabulous day with such lovely cards and so much inspiration. I love the inspiration and how today allows all of us paper crafters to indulge in our favorite hobby! Thank you for a great day of inspiration. Time to catch up on my Halloween crafting. Big thank you to Simon Says Stamp and Scrapbook Adhesives for their generosity. It was a great day looking at the fun creations of the design members. Thank you to all the sponsors of the amazing prizes. Fun card! Love the banner with the different shapes and patterns! Pinning this! I hope everyone is having a fun WCMD weekend! Thank you for hosting these events and inspiring us! Here’s my little tip… every so. Often I challenge myself to a card making session where I can only use patterned paper and embellishments left over for Scrapbooking projects. I get to re-enjoy them, and use up my scrap stash! Many thanks as well to all of the designers for putting their time in to design cards and to the sponsors for the great prizes! This was an awesome day! Thank to everyone for sharing it with us! Thanks for a great day of inspiration. My card-making mojo has been on hiatus the last couple of months, so WCMD is a good kickstart to getting back into my creative groove. Thanks for a wonderful day and if you haven’t checked out Simon says stamp blog you should. The cards representing countries around the world are awesome. Love the stitched banner! So bright and happy! Thank you! I really enjoyed this year’s WCMD! Tons of inspiration and of course some crafting in my happy little place made it so much fun! Thank you for all the beautiful inspiration! Thank you Simon says and Scrapbook adhesives! How kind of you! Thanks for the inspiration. I will never stop making cards because it just makes me happy. Thanks for all the inspiration today! I love that feeling when someone is shocked that you actually created the card that you gave them. What a wonderful day and thanks for all the prize opportunities. I can always use more adhesive! I don’t do Social Media, but I did, unfortunately, have to make a sympathy card which I’m mailing today. Great inspiration with all the projects you shared for WCMD–thank you! What a cutes card – so bright and cheery! Thanks for all the inspiration and the chance to win these great prizes. I love that banner. Thanks for the inspiration posts for WCMD. Such a cute card! Thanks for the great ideas and thanks too, for the chance to win some crafty goodies! All of these gorgeous cards got me wanting to make cards again!! Love the banners on this last one sewn on!! All the prizes for this last hour are fabulous but my favorite is all the hand made cards that would go to a deserving person!! Terrific!! I came late to the fun…but I am here catching up!! Pinned this one for inspiration. Will definitely be making something to send out. Such a great idea to end the day. Thanks for all the inspiration and chance to win. Thanks for all the fun and inspiration today! It was amazing!!! Beautiful cards today! Thank you for the chance to win great supplies and inspiration. I didn’t get to participate as I would have liked but your projects were great to see! Thanks for sharing what you do! Nicole’s card is so pretty! Love the banner idea. You guys are so right about handmade cards bringing so much joy to the recipient. Who doesn’t love receiving happy mail?! 🙂 Thank you to the sponsors for these lovely giveaways! Thanks for the fun day! Such great inspiration! Thank-you for the chance to win such great prizes! Wonderful card, and some amazing prizes. Thanks so much for all of the inspiration! Love the beautiful cards that the design team made today, especially the last one. Thanks for the chance to win and inspiration. 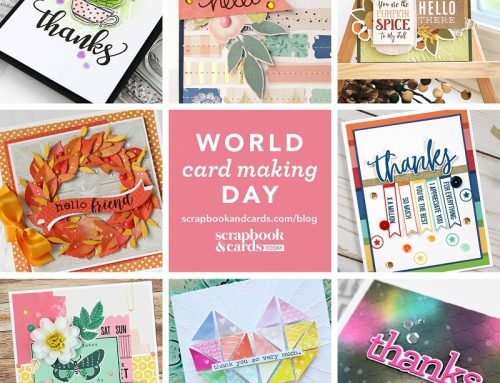 World Cardmaking Day is always a fun celebration and full of inspirations. Thank you so much for making it MORE FUN!!! Thank you for the great fun!! Thanks SCT for the awesome celebration! Nobody does it better! Hope your WCMD was filled with lots of crafty fun! This card is wonderful – so happy! Thanks! Loved the idea of going into our stash for supplies – you don’t always have to have the newest product to make a beautiful card. Loved all the inspiration from the team. Well Done ladies and thanks to the sponsors and their gift donations – so appreciated! What an awesome day of ideas and inspiration! I love World Card Making Day! Always find inspiration here – thanks for sharing such beautiful projects and ideas!! What awesome prizes from two great sponsors! I will be making a card for my husband’s birthday and a sympathy card for a friend who lost her mother yesterday. Thanks for the opportunity to win prizes! Making cards always makes me happy and sometimes I even remember to send them..ha! Thank you for all the inspiration and giveaways. I made several cards that were inspired by WCMD and am addressing envelopes right after I get off the compurer. Thanks for a great World Card Making day extravaganza and for the chance to win prizes. My 7 year old and I love to make cards and to send them out to family and friends that we don’t see very often. We also love to get happy mail! Thanks for the opportunities for great prizes! I hope the winners enjoy them! Loved the way you used banners!!! Thank you for all of the inspiration! Love you guys! Hooray! Your WCMD posts have been so inspiring! I agree: handmade cards are the sweetest. 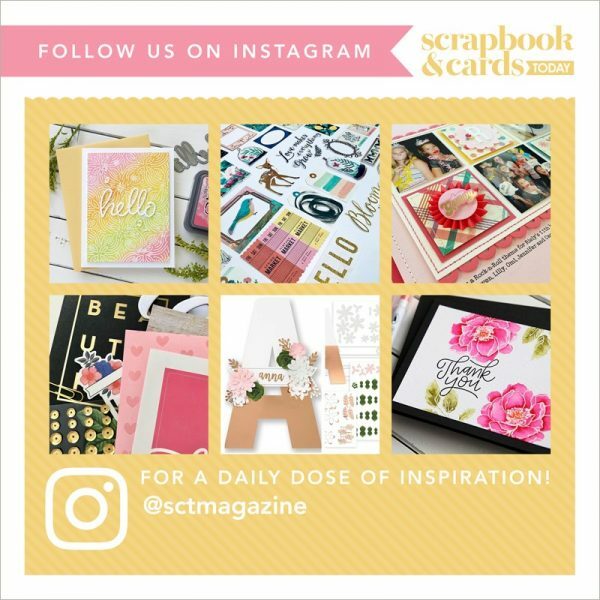 Thanks to Simon and Scrapbook Adhesives, and thanks to SCT, for always posting with gorgeous eye candy and wonderful ideas for paper crafting! Such beautiful cards today. Sorry I had to miss all the fun, but hope to be making some cards this next weekend. Thanks SCT! 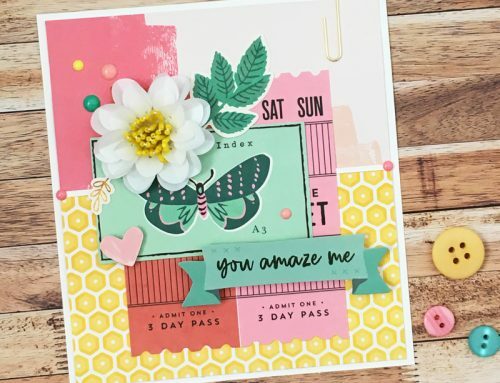 Thanks SCT for sharing some wonderful cards and techniques. You provide so much inspiration!! Cute banner card! Thanks, SCT for the inspiration..
Love this day and this craft – it brings us together and let’s us share our love with each other, those near and far. When I make a card for a specific person or event I am spending that time thinking of that person and wishing them the best I can give ? Woot! What a great way to end the day, although I’m a little late to the party. Thank you, lovely sponsors for such generosity. 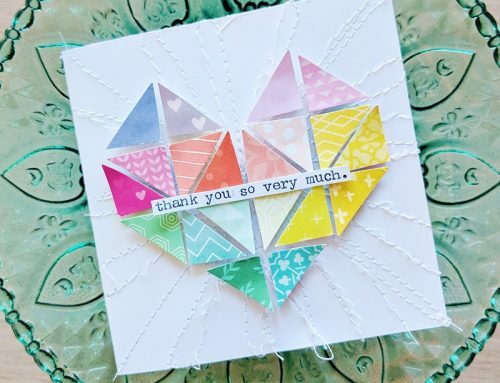 Thanks so much, SCT for having such a fab team and for always giving back to the papercrafting community and fans! I’m joining the party at the bitter end! looks like it was a great day to celebrate! Going to go through all the posts to see the great inspiration – thanks SCT! SINCE OUR STORE IN BROOKINGS CLOSED, WE HAVEN’T HAD THE NORMAL NATIONAL CARD MAKING DAY WHICH I WAS ONE OF THE TEACHERS. WE REALLY MISS IT AND THE STORE. SO GLAD TO READ ABOUT IT WHENEVER I CAN. IT SEEMED TO UNITE ALL OF US CARDMAKERS. I DIDN’T EVEN KNOW THIS MAGAZINE EXISTED. SO GOOD TO SEE IT.